I love taking showers because they are a quick, easy way to have some "me time" at the start of my day. And one of the key parts to a great shower is the body wash. So I was very happy when I was asked to try out the new Dial Coconut Water Body Wash - which is the first body wash of its kind to contain coconut water. Coconut water is found in young, green coconuts and is rich in antioxidants and electrolytes that are said to provide natural hydration. Winter weather in Michigan really dries out my skin so I need all the hydration that I can get. 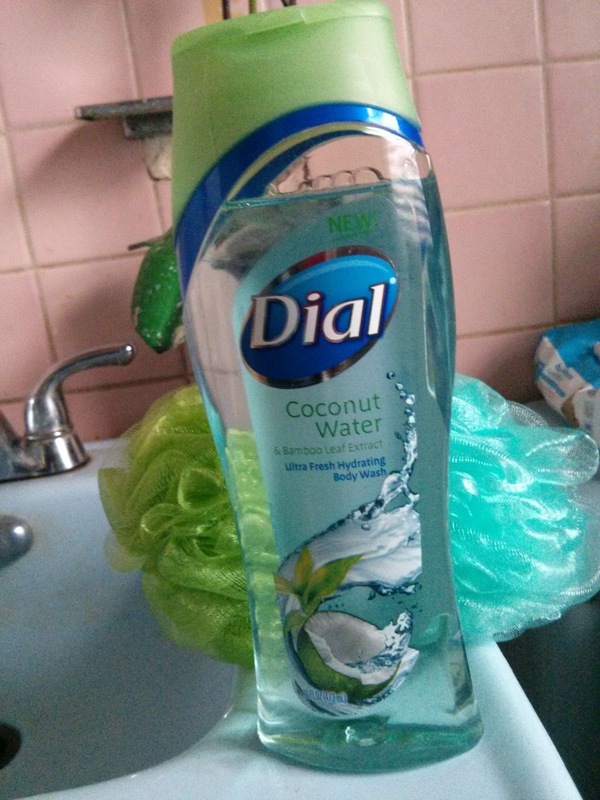 Dial Coconut Water Body Wash retails for around $4.99 for 21 ounces and can be found at local retail stores like Target. For more info on Dial Coconut Water Body Wash, follow Dial on Facebook. 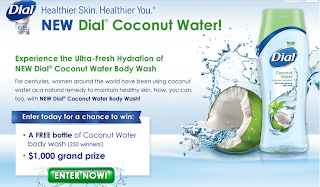 ENTER The Dial® Coconut Water Body Wash $1000 Sweepstakes! Dial® is proud to introduce the Healthier Skin. Healthier You.® Sweepstakes featuring Dial® Coconut Water Body Wash where 1 lucky grand prize winner will receive $1,000 and 250 second place winners will each receive a free Coconut Water Body Wash.
One (1) FREEISMYLIFE reader will WIN two (2) product coupons for FREE Dial Coconut Water Body Washes so you can try out the product for yourself - HOLLA to the FREE!!! - The contest ends on Friday, March 8, 2013 at 11:59 am EST. - Prize will be fulfilled to winner by US mail. - You can get 1 extra giveaway entry for following Dial on Facebook. 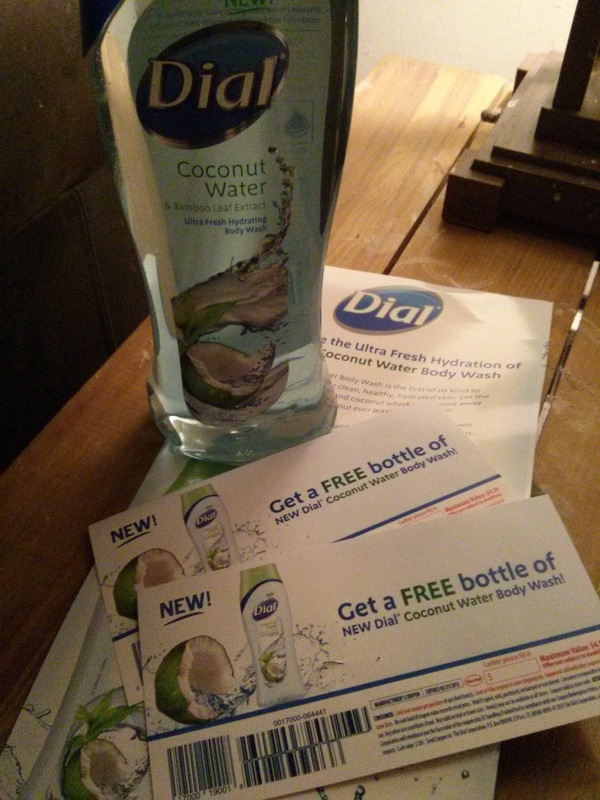 - You can get 1 extra giveaway entry for tweeting the following message on Twitter "I entered to WIN 2 FREE Product Coupons for @Dial Coconut Water Body Wash on @freeismylife http://ow.ly/ieI7y "
Random.org has spoken!!! Out of 170 entries, Random.org has picked #109. 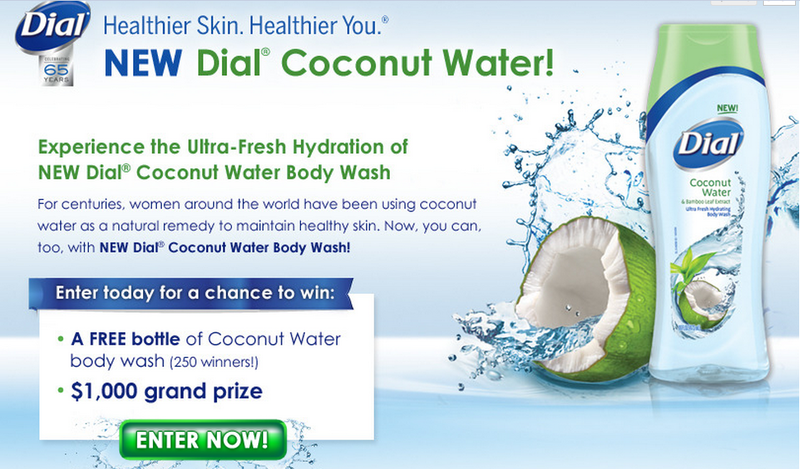 Congratulations to the winner of the Dial® Coconut Water Body Wash FREE product coupons - Mary W. of Deland, FL !!!!! Disclosure: I received complementary product from Dial to facilitate this review. Dial is sponsoring the giveaway in the post. All opinions are my own.